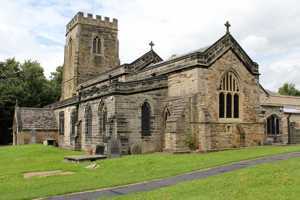 On the western edge of the diocese, almost on the Nottinghamshire/Derbyshire border, stands the ancient church of St Helen’s, Selston. Domesday Book records a church here, and much of the interior dates from the Norman period. Three main periods of expansion followed later: the upper part of the tower and the clerestory were added in the 15th century; the early 20th century saw the addition of the north aisle, vestry and chapel in the south aisle, and the refurbishment of the exterior; in 2011 a large new extension was added on the north side. Inside, Norman features include the font and a carved slab showing a priest in vestments which Pevsner believed to be one of the oldest in the country. There is a possibility that the tower was constructed as a partially defensible tower, and the original medieval doors are still in place. Despite having been moved at some time, the 13th century porch retains original features and interesting carvings. Throughout its history, local landowners have had close links with the church, which explains the presence of the large, elaborate alabaster memorial to William Willoughby dating from the 17th century. 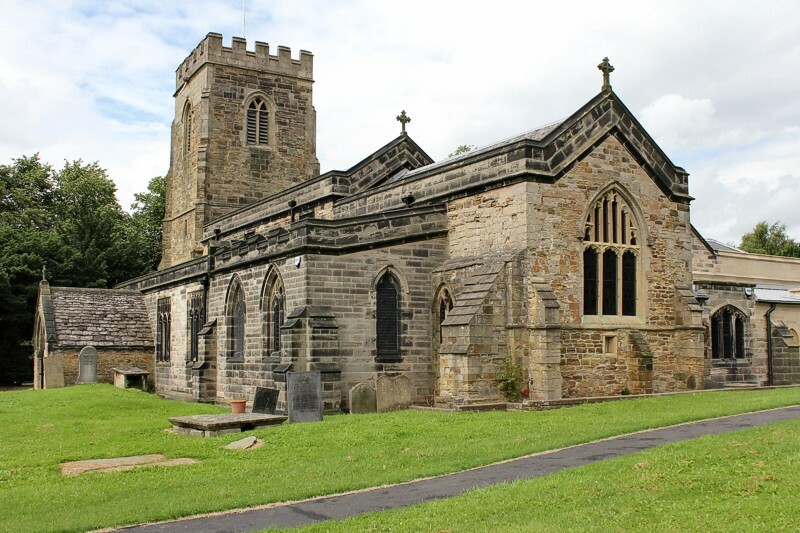 The large churchyard is still in use for burials and has extensive views into Derbyshire. The original churchyard, although largely cleared of headstones, still has some memorials in place, the oldest dating back to 1694, although there is also an ex situ medieval cross slab on the south side. The parish registers date from 1557.
and to her and Geoff Buxton for the photographs.